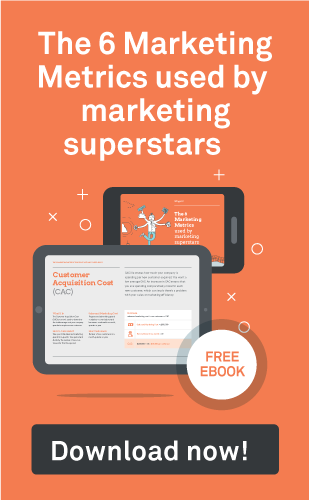 70% of B2B marketers are creating more content than they did one year ago, according to the Content Marketing Institute, and content marketers around the world are celebrating. The result of years of solid growth has resulted in a mature market where 86% of B2B businesses now use some form of content marketing. Yet diving deeper into the number reveals major issues with how companies are approaching content marketing. As mentioned at INBOUND15 48% of businesses leveraging content marketing reported having an "undocumented strategy," which broadly translates into: "yes, we talked about it and we write some stuff on our blog and social media." Amongst companies with no written strategy, only 32% found their efforts to be beneficial. We believe that is because content marketing is not a strategy in itself, but a means to achieve desired results as part of a greater inbound sales and marketing strategy. Companies stand a lot to gain by thinking of content marketing in the context of their inbound marketing strategy. The term "content marketing" is rapidly becoming an industry catch-all and popular buzzword. The Content Marketing Institute defines content marketing as "owning, as opposed to renting media. It’s a marketing process to attract and retain customers by consistently creating and curating content in order to change or enhance a consumer behavior." Content marketing is an activity of creating and publishing content to mainly attract people to our channels. The main question is: How can a company talk about its business or market in a way that interests people enough to drive them to their site? The answer to this question is strategic content. For example, a company can write informative articles about their field of expertise. Or, a business can make a funny video to show off their award-winning customer support. The options for which type of content to create are endless, but it remains a type of media, not a strategy in itself. Inbound marketing is a complex strategy and approach which interconnects marketing and sales activities in one process including content creation, content delivery and sales via sophisticated tools and techniques. The main question here is much broader: How can a company create content with value in the right context for the right people at the right time in order to build trust and convert them into customers? These answers not only tell a company what sort of content to create, but what to do to maximize effectiveness at every stage. Looking at the HubSpot methodology for inbound marketing as an example, they talk about a four part process: attract, convert, close, and delight. A lot of content is created to catch the attention of potential customers. Drawing people to that content involves SEO, following trends on social media, coming up with original ideas, and seeding links from other relevant content. But what happens once someone is attracted? That's usually where businesses see poor results because the content they are creating does not have a lasting effect and little to no impact on sales. In the extremely competitive business climate of the 21st century, just attracting is not enough. Inbound is a marketing approach that strives to attract people, build trust via valuable content and convert them to customers with smart analytics and workflows. 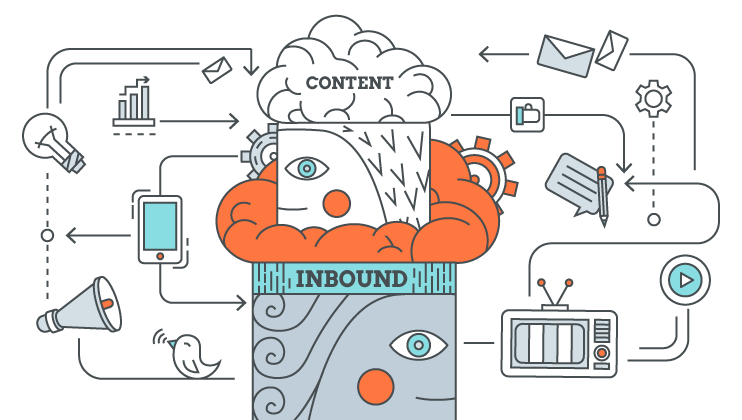 Having an inbound marketing strategy creates a structure to content marketing. How often will a company create content? Will they create in-depth series or short listicles? Then come the convert, close, and delight stages. Once someone is reading our content, are they continuing to other articles on our blog? Is the call to action button getting clicks? Are they subscribing to our newsletter because they want more? Which of our content is the most valuable in terms of conversion? Inbound marketing takes into account analytics, segmentation, and automation with the help of powerful digital platforms. Through analysis, personification, and optimization, a company can increase their conversion rate by directing more customers through their sales funnel. They can also provide their sales team with better leads, all resulting in more direct sales from their content. It doesn’t matter what you call it really – there is no right or wrong – but this is how we see it. Today’s technologies and tools offer much deeper sophistication and integration than ever before. We don’t have to stop in the moment of delivering valuable content and feel that we are engaged in content marketing. With inbound marketing, we take a more holistic approach and gain more from digital marketing efforts. Don’t stop at the beginning of the journey. Use the potential of inbound marketing to its maximum effect.